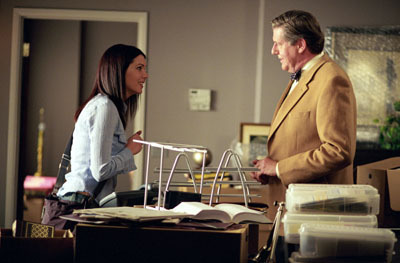 Lorelai helping him at his office I believe. Yes, I do remember that. 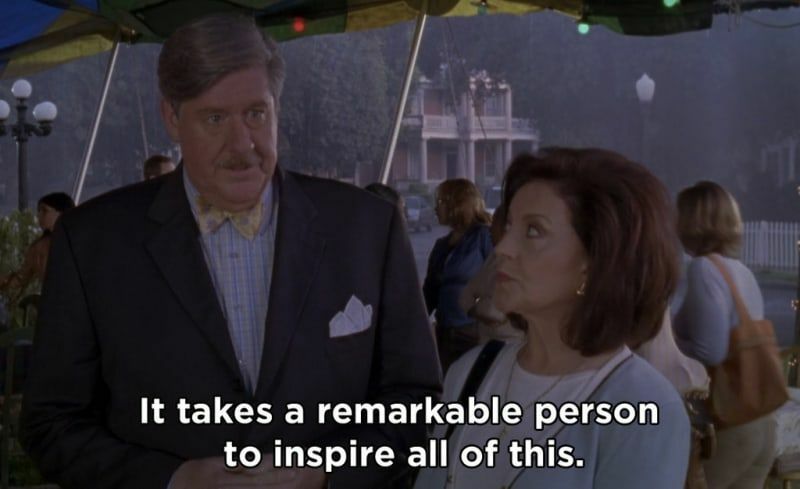 Nice to see Richard defending Lorelai here. YES!! But doesn’t he come back and give her a backhanded compliment or remark later? Regardless, it was nice to see. Hmm. I don't remember. You're probably right. That was a funny sequence in that ep. Oh crikey! I didn't mean for it to be that big, I posted it from my phone. 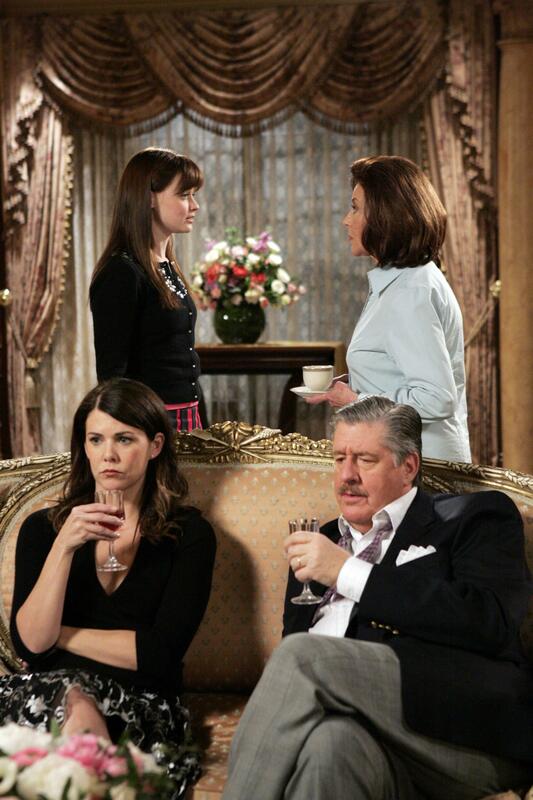 I love their expressions while Emily and Rory are bickering/arguing behind them. I'm so glad that that was their last scene ever. It was perfect.